Computer vision is fundamental in the development of tools for assisting surgeons in a number of surgical procedures. From open-heart surgery, to endoscopic, laparoscopic, ear and retinal surgery, computer-assisted intervention has the potential to help improve patient safety, alleviate surgeon workload and reduce procedure duration. These potential benefits have translated to a strong push for new technologies and methods in visual tracking and 3D reconstruction, and in consequence has given way to a steady increase in research papers related to these fields at MICCAI and other venues. While recent advances in research have been promising, there are still a number of significant hurdles to overcome in a number of these cases. For example, poor visualization conditions or the complexity of organ visual appearance during surgery renders visual tracking and 3D reconstruction extremely challenging. Given this, there is an important need to promote and describe the approaches that appear promising for clinical use. Towards this end, the goal of this tutorial is twofold. 1) Survey the key recent contributions to both visual tracking and 3D reconstruction for clinical applications. In particular, present and describe the main contributions of recent techniques, their distinct properties and assumptions. 2) Present the important limitations of recent methods, as well as outline which clinical requirements recent methods fail to address. ● Provide detailed discussions of state-of-the-art methods in tracking and 3D reconstruction for surgical applications. ● Provide an informal setting for discussion of technical issues regarding data acquisition, method implementation and validation in phantom and clinical settings. ● Highlight current and future technical challenges in clinical settings. Part 1: Visual tracking and reconstruction of organs and cavities. In this first part, we will have speakers discuss state-of-the-art methods for visual tracking and 3D reconstruction, with applications to heart, eye, throat and abdominal surgery. Part 2: Instrument detection and tracking. In this second part, we will consider the topic of instrument detection and tracking, for both 2D and 3D imaging. With significant importance to assisted-robotic control, methods for instrument tracking in laparoscopic and retinal surgery, as well as in ultrasound procedures, we will be presented. Presentations will follow the IPCAI format: 40-minute talks, where 30 minutes will be allocated to presentation of material and 10 minutes for discussion (see below for the tentative list of speakers). Abstract: Augmenting laparoscopic images with preoperative scans is of great interest for some procedures, and currently forms an open scientific challenge. Augmented Reality requires solving image registration and 3D reconstruction. I will present Shape-from-Template as a candidate framework for solving these two problems under several types of simple 3D deformations. This framework uses a 3D shape template and as few as a single input image. 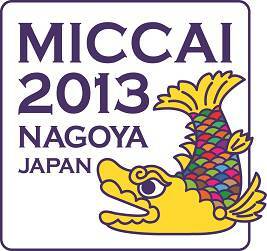 I will show how it may be applied in gynecologic laparoscopy using the uterus as an example. Short bio: Adrien Bartoli has been a Professor of Computer Science at the Universit\E9 d'Auvergne (Clermont-Ferrand, France) since 2009. 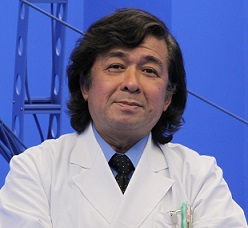 He is currently leading the ALCoV group on science and laparoscopy. Abstract: Great challenges are currently encountered to bridge the gab between the laboratory and a clinical environment. To take up this challenge, a modelling of the maturation process of a medical device (including software) is proposed; from which keys for accelerating this process have to be identified. Based on examples from medical devices in the field of tool tracking and 3D reconstruction, this talk highlights the different critical steps that must be taken into account early on in the development cycle to go rapidly to the patient bed. The ultimate goal is to demonstrate objectively the added value of such innovative technologies in the patient care. 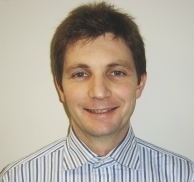 Short bio: Alexandre Moreau-Gaudry is a practitioner in the Grenoble CHU (France) and the medical coordinator of its CIC-IT, a structure dedicated to clinical validations of medical innovations in the field of CAMI. 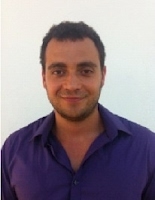 He is also a researcher in the CAMI group of the TIMC-IMAG laboratory, with a focus on arthroscopic surgery. Abstract: Methods for detecting and localising the surgical instruments in minimally invasive surgery images are important for advanced robotic assisted interventions. While the robotic control system provides information about the tool's position in the robot coordinate frame this can have inherent inaccuracies due to the mechanical system. Vision sensors are currently a promising approach for determining the robotic instrument's position in the coordinate frame of the surgical camera. In this talk, I will describe our recent work on a vision algorithm for localising the instrument's pose in 3D leaving only rotation in axis of the tool's shaft as an ambiguity. The method is based on probabilistic supervised classification and an energy minimisation algorithm for localising the pose of a prior 3D model of the instrument within a level set framework. Preliminary results on in vivo data from MIS with traditional laparoscopic and also robotic instruments indicate that the approach is promising for use on clinical data. Abstract: The advent of widespread high definition video microscopy and endoscopy in the operating room offers new opportunities for computer vision in interventional medicine. In particular, endoscopes can now be used as devices for quantitative measurement, assessment, and feedback to surgeons, thus improving the safety, quality, and consistency of interventions with no extra cost or additional equipment. In this talk, I will illustrate the potential for quantitative endoscopy by describing a method for video-CT registration in skull-base surgery. I will present our preliminary results showing that video-CT registration produces higher accuracy than currently available commercial platforms, and I will describe ongoing work aimed at translating these results into a practical tool for surgical navigation. 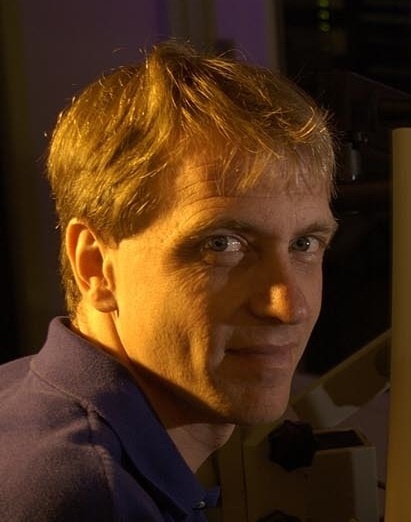 Biography: Gregory D. Hager is a Professor and Chair of Computer Science at Johns Hopkins University and the Deputy Director of the NSF Engineering Research Center for Computer Integrated Surgical Systems and Technology. His research interests include time-series analysis of image data, image-guided robotics, medical applications of image analysis and robotics, and human-computer interaction. He is the author of more than 250 peer-reviewed research articles and books in the area of robotics and computer vision. Professor Hager received his PhD in 1988 from the University of Pennsylvania. He spent a year as a Fulbright Professor at the Fraunhofer IITB in Karlsruhe, Germany, and was on the faculty at Yale University from 1991-1999. In 2006, Prof. Hager was elected a fellow of the IEEE for his contributions in Vision-Based Robotics. Abstract: Current laparoscopic and robotic surgeries have difficulty in obtaining visual information in the operating field. Limits to surgeons' views in these operations can lead to accidents. Operational instruments can unnecessarily touch soft tissue, or surgeons may be unaware of bleeding in areas out of their view. To prevent these accidents, we developed a multi-view video camera system that works inside the abdominal cavity during laparoscopic and robotic surgery which can obtain a wider range of information than conventional type camera systems. We aimed to create a function in which surgeons will be able to alter their viewpoint without physically moving the camera to obtain diversified intraperitoneal information. Taking advantage of the system\92s video image array with geometrical regularity, we also sought to build a new type of augmented reality function that is different from the images from conventional navigation surgery. By taking this approach, our goal is to formulate new augmented reality functions that could be used in next generation laparoscopic and robotic surgeries. Abstract: Careful validation is crucial for establishing a new technique in the clinic. So far, quantitative validation of 3D surface reconstruction methods has typically been performed under (close to) ideal conditions and on a variety of different validation objects, thus rendering comparison of results impossible. To address these issues, we have formed a joint international initiative with the aim of validating different state-of-the-art passive and active reconstruction methods in a comparative manner. In a comprehensive in vitro study, we investigated reconstruction accuracy using different organs with various shape and texture and also tested reconstruction robustness with respect to a number of factors like the pose of the endoscope and the amount of blood or smoke present in the scene. This talk will present and discuss the validation method applied as well as the results of the study. Abstract: The slit lamp biomicroscope is one of the most commonly used devices for inspecting the retina, specially for the treatment of the eye periphery. However, only a small portion of the retina can be visualized through the microscope, complicating the task of localizing and identifying surgical targets, increasing treatment duration and patient discomfort. In this talk, we will present the state-of-the-art in the field of view expansion and augmented reality for retinal interventions. We will discuss the technical and computational challenges, as well the experimental setup to demonstrate the clinical value of augmented reality in slit-lamp retinal imaging. Short bio: Rogério Richa is a researcher for the Brazilian National Institute for Digital Convergence (INCoD) since 2013. 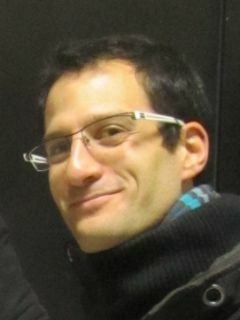 Previously, he worked as a post-doctoral fellow at the Johns Hopkins University and the Laboratoire d'Informatique, Robotique et Microéléctronique de Montpellier (LIRMM), where he obtained his PhD in 2010. Abstract: In this talk, I will present a 3D tool tracking approach for laparoscopy using from the 2D laparoscopic images, which exploits the Condensation Algorithm. An overview of potential applications of this method in the TIMC-IMAG laboratory will be presented, and the the challenges linked to its exhaustive validation (what ground-truth can we use?) will be addressed. Short bio: Sandrine VOROS is an INSERM researcher in the Computer Assisted Medical Interventions (CAMI) team of the TIMC-IMAG laboratory inGrenoble, France. She is involved in several research projects linked to prostate cancer, and more specifically navigation systems for radical prostatectomy. Her research interests include “context aware” surgical interventions, medical robotics, computer vision and machine learning. "Surgical Vision: Instrument Detection and Model Based Localization"
"Towards a decrease of the delay between laboratory innovations and their clinical evaluation"
"Comparative assessment of optical techniques for 3D surface reconstruction in laparoscopic surgery"
"Utility of Multi-view Camera System for Navigation Surgery"
"A model-based approach for tool tracking in laparoscopy. Potential applications and challenges linked to the approach's evaluation"
"View expansion and augmented reality in slit-lamp retinal imaging"